The 2015 World Series of Poker (WSOP) Main Event is now some actions away from reaching its final table. As we have seen previously, results from this ongoing poker tournament have impacted the current Global Poker Index WSOP Player of the Year ranking. Among the lucky ones are notable names who successfully accumulated considerable points by finishing in the money in the Event #68. 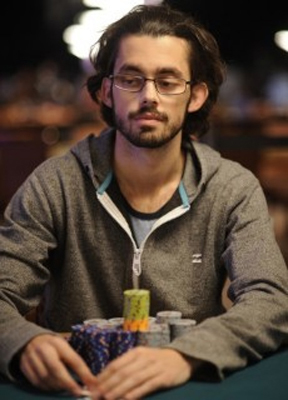 Mike Gorodinsky is part of them; Mike is currently the most successful player in terms of gains. He leads the pack with 2,157, 19 points. His greatest achievement remains his 1st-place finish in the $ 50,000 buy-in Poker Player's Championship. He earned 513.13 points and the $ 1,270,086 top payday. In this festival, Mike G has grabbed 9 ITM places, including 1 runner-up and 1 third-place finish. Last weeks leader Anthony Zinno is now ranked 2nd postion. As a reminder, this young poker prodigy recently notched a win in the $ 25,000 Pot-Limit Omaha High Roller, a smashing achievement to which his leading position is owed. He now has 1,942.72 points. As for Paul Volpe, he now sits on 3rd position with 1,889.46 points thanks to his 6 ITM-place finishes in the 2015 WSOP. Shaune Deeb with his 1,803.99 points is ranked 4th. He has been able to improve his ranking thanks to his victory in the $ 10,000 Pot-Limit Hold'em Championship and a 8th-place finish in the $ 25,000 Pot-Limit Omaha High Roller. Rounding out the Top 5 is Brian Hastings with 9th-place finish for 1,534.33 points.